This refers to strokes due to emboli arising from the heart. Either from the left atrium, left ventricle or valves or via a shunt such as a PFO or ASD. Cardioembolic stroke accounts for between 15-30% of all acute ischaemic strokes. Embolic strokes tend to be acute and maximal at onset. Can suddenly improve due to passage of the clot distally, variability in collaterals and spontaneous reperfusion. 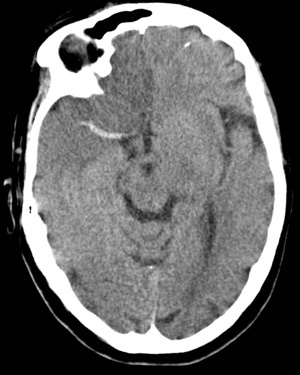 There is often a large vessel obstruction amenable to thrombolysis and thrombectomy. There is a greater risk of haemorrhagic transformation. Multiple stereotypical clinical syndromes in the same territory is not cardioembolic source. Various Cardiac structural defects can lead to the formation of intracardiac thrombi and cardioembolism. If suspected the first investigations include a clinical history and a search for any determinants that will give a clue. Cardiac symptoms suggestive of ischaemic heart disease, chest pain, breathlessness and palpitations which could suggest an ischaemic cardiomyopathy. A history of rheumatic fever could suggest valvular disease. A history of excess alcohol might suggest an alcoholic cardiomyopathy. Cardiomyopathy may also be seen with HIV. Examination may reveal heart failure, rashes, AF, sighs of chronic liver disease, nicotine staining, hypertension and murmurs. An ECG, CXR and then Echo will be useful. A troponin may be useful acutely if recent myocardial infarction is suspected. Temperature and stigmata for endocarditis must always be considered. Most embolism is thrombotic but other rare sources of emboli are air, fat, cholesterol, bacteria, tumour cells, and particulate matter from injected drugs should be considered in rare cases. Severely Impaired LV function Impaired LV function ( < 20%) when severe can be a risk factor for embolism and an annual incidence of about 3.5% has been quoted with chronic heart failure but these patients often have associated AF which adds to risk. Patients need an Echocardiogram. For those with AF a related scoring should be done. For those without AF then an individualised assessment of risk and benefits of anticoagulation should be assessed as well as optimising heart failure management and treating any cause. Infective endocarditis Endocarditis has a high risk of embolism especially in the first 7-10 days. Haemorrhagic changes are often seen and anticoagulation avoided acutely. Marantic endocarditis Cancer and stroke. Cancer can cause a hypercoagulable state. Cardiomyopathy Diseases affecting heart muscle. 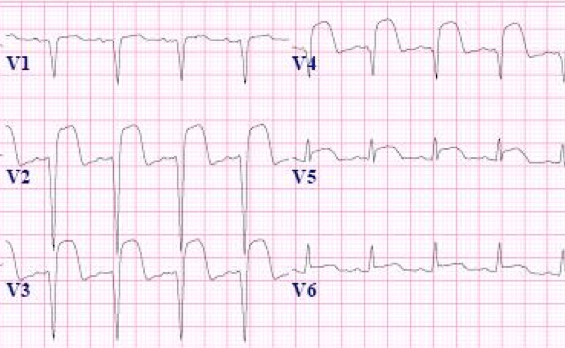 ECG: may show recent STEMI with Q waves or persistent ST elevation suggesting ventricular aneurysms. It may also show AF or sick sinus syndrome. Standard Ischaemic stroke Management. Treat cause. Secondary prevention with anticoagulants should be started as per guidelines usually at 1-2 weeks on a case based approach. Caution in endocarditis. Cardioembolic Stroke: Clinical Features, Specific Cardiac Disorders and Prognosis. Curr Cardiol Rev. 2010 Aug; 6(3): 150–161. Cardioembolic Stroke. Circ Res . 2017;120:514-526.